Welcome to Day #7 of Chocolate and Peanuts Theme Week. 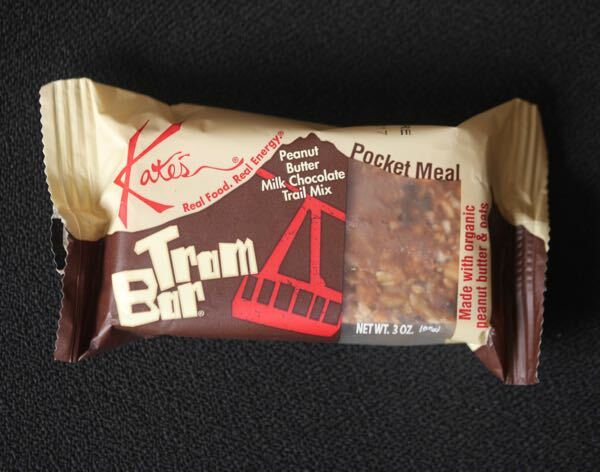 Today's Peanut Butter Milk Chocolate Trail Mix Pocket Meal bar, aka Tram Bar, was from Kate's Real Food (Victor, ID). 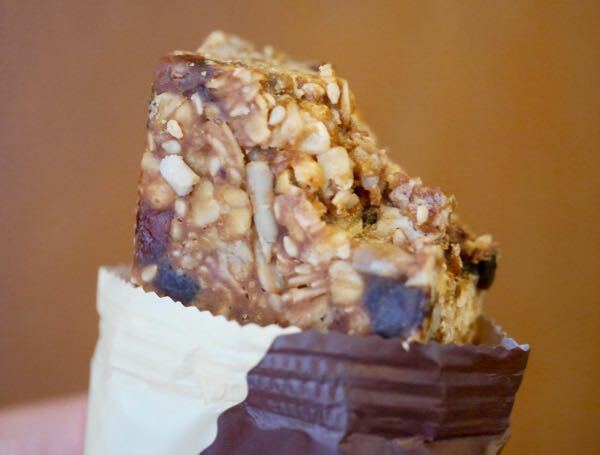 The sibling to this bar (the Grizzly Bar with dark chocolate) was featured last week. Both were billed as Pocket Meals, which was a fitting description. Both were enjoyed for breakfast and fueled adventures well into the afternoon. Today's substantial oat-based bar contained mostly organic ingredients, including organic oats, organic honey and organic peanut butter (made with dry-roasted peanuts). Rice nuggets (rice flour and bran, honey, raisin juice, salt) added some crunchy texture. Dried organic fruits (banana, apricots and raisins) and organic seeds (sunflower, sesame) amped up the fruit and "nutty" flavor, texture and natural sweetness. The milk chocolate (not organic) was more of an accent flavor that added a bit of rich flavor. Unlike many trail and energy bars, this one did not taste overly sweet (thank you! ).